It took me about more than a decade to taste an authentic Puto Binan again. 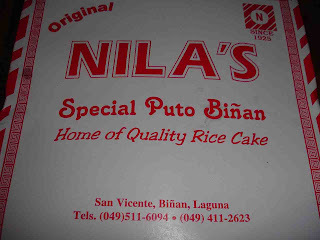 The first time i've fallen in love with puto Binan was when I was still working as a Junior Market Research Assistant and that was really a long, long time ago. 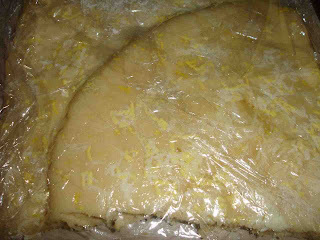 My research partner- Rose, hails from Binan so every now and then she brings this yummy puto to the office. And after endless search, tasting the puto Binan sold in Greenhills tiangge, food stalls in the malls, the food stalls at St. Jude Parish and then being gifted with a big bilao of puto Binan.. all of which tasted different and doesn't lived up to the Puto Binan as I remembered. Then about a week ago, we happen to visit my cousin who manages a canteen in one of the top Call Center in Metro Manila and we were served puto Binan! At last--- yum yum yum!